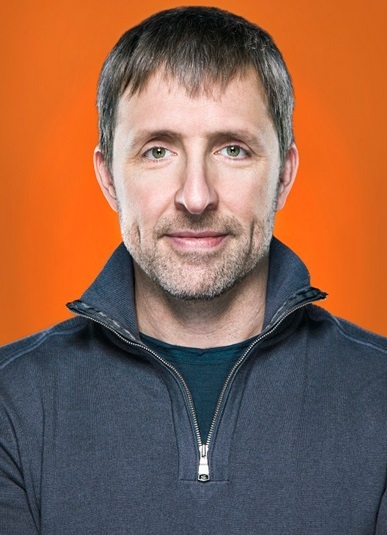 Dave is the creator of the widely popular Bulletproof Coffee, host of the radio show and #1 health podcast, Bulletproof Radio, and author of the New York Times bestselling book, THE BULLETPROOF DIET. Through his work Dave provides information, techniques and keys to taking control of and improving your biochemistry, your body and your mind so they work in unison, helping you execute at levels far beyond what you’d expect, without burning out, getting sick, or allowing stress to control your decisions. 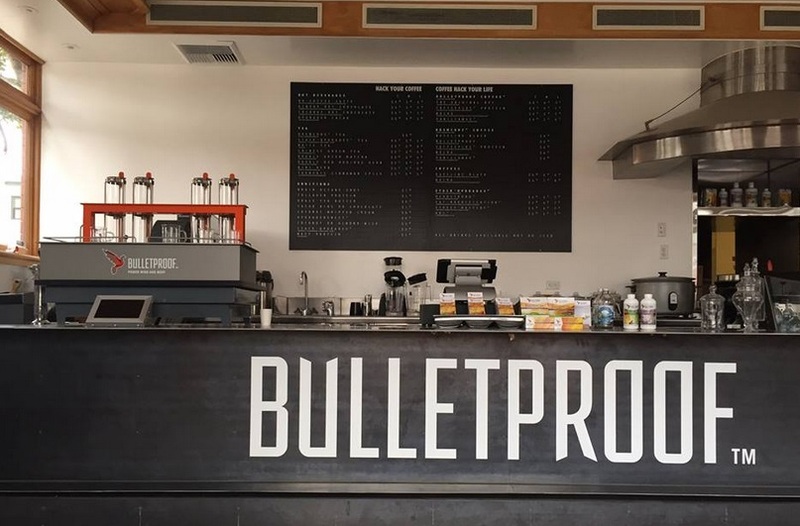 Dave’s newest venture, the first Bulletproof Coffee shop is scheduled to open in Santa Monica, California in early 2015. His Bulletproof Films will release the company’s first documentary film, MOLDY, in June 2015. In my mid 20’s, I found myself weighing 300 pounds with a brain that wasn’t working well. Doctor’s couldn’t help, so I hacked the problem myself, and ended up running the Silicon Valley Health Instutute, a nonprofit anti-aging group, for a decade, which helped me learn what worked from top experts. I spent $300,000 and 15 years upgrading every system in my body using every conceivable technology and tool I could find. The desire to help people experience the power of these ideas led me to start writing about them, then to make products with noticeable effects. Today I’m ranked as the 11th most influential voice in health and fitness in a quantitative ranking, right behind Tim Ferriss, and I’m a New York Times bestselling author, all within 18 months of leaving my tech career in Silicon Valley. Tell us about Bulletproof. What inspired the idea and what is your vision for the company? Bulletproof describes a state of high performance we’re all capable of, but one that few people have experienced. Superman is actually Bulletproof. But the rest of us can have more resilience and willpower than we do now but taking control of our biology. Bulletproof has a media strategy which is to help as many people as possible, understanding that some percentage of them will choose to try Bulletproof products. The information is mostly free and very valuable, and stands on its own. What strategic partnerships/marketing strategies have you implemented that have attributed to Bulletproof's success? Doing what measurably works is a key tenet of the New York Times bestseller The Bulletproof Diet, and the same works for our content. We talk about what makes people perform better, and we use references. The quality of content is key. The #1 ranked radio show, with 14 million downloads, is another example. So the marketing strategy is to focus on integrity and helping people. When you’re sincere, people pick up on it. One of the most important things I do for marketing is to spend time with other top influencers in the health space. JJ Virgin’s Mastermind group and Joe Polish’s Genius Network and Peter Diamandis’s Abundance 360 are all places to spend time with other people helping millions to be better. I’m a contrarian. I tend to do the opposite of trends. I started a physical product company when everyone online was selling digital products, and today the digital marketers are all rushing to white label products. Since Bulletproof is manufacturing products directly now, it gives us a leg up, because few digital marketers have the knowledge to actually manufacture stuff. It’s easy to relabel, but the margins on that are not where we’d want them to be for national distribution. Just as there are now tens of thousands of podcasts that few people listen to, there will soon be tens of thousands of small brands of relabeled products that few people buy. It’s confusing for the consumer…so I’m working to make it simpler and more affordable. We don’t have an official motto. If I had to make one up, maybe it would be. “You’re in charge of your biology. Now do something great with it." Your greatest success as Founder/CEO of Bulletproof? Most difficult moment-how did you overcome and what did you learn? I started Bulletproof as a blog with the goal of sharing knowledge that I wish I’d had when I was 20. If the blog reached only 5 people and changed their lives the way this knowledge would have helped me, it is a huge win. So my greatest success as CEO of Bulletproof happens every time someone I don’t know sends a heartfelt email about how this work has given them their life back, or their brain, or has reinvigorated a parent struggling to stay young, or helped parents conceive without drugs. It’s changing lives. That’s the greatest success I can imagine. The most difficult moment was when a former supporter decided to support a competitor, and did so with unwarranted public attacks on the credibility of my work, especially around the role of mold toxins in food. It ultimately inspired me to make a documentary about this huge hidden problem. It launched last week and has already been seen by 50,000 people. It just went live at moldymovie.com. There is great value to learning how companies work. You do that by working at them! I spent much of my career in Silicon Valley at startups, but I didn’t run a sizable one until I’d seen how they work from many angles. Your odds of success go up when you have good advice and when you have experience. If you start a company without the experience, double down on the advice, and hire the experience as soon as you can afford it. Describe the ideal experience using Bulletproof. When you use Bulletproof techniques like the Bulletproof Diet, or supplement nootropics like Unfair Advantage, you should feel a noticeable difference. It’s not subtle. Our bodies know what works. You can feel it! We are a mission driven company. We all are making a difference and it motivates every single person in the company every day. We see the results in our interactions with customers. It is a shared passion for improving ourselves and the world around us that motivates us. How could you not wake up excited to do that? 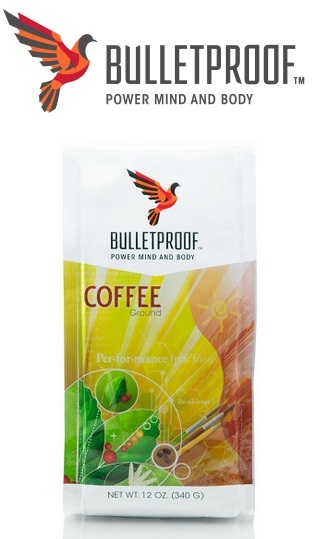 We also provide a 5 lb bag of Upgraded Coffee and a bottle of Brain Octane oil to everyone so they can make Bulletproof Coffee at home, and a generous credit to use on bulletproof.com so we always have the tools to stay in a state of high performance. It’s the best investment I could make – taking care of the people who support this vision is my top priority. The least I could do is make sure they have the best nutrition. Um…Bulletproof Coffee of course, made with mold-free Upgraded Coffee beans, grass fed butter, and Brain Octane oil. I read several books at the same time. Right now there’s a book about the history of psychedelics, one on cognitive neuroscience, and Neil Stephenson’s latest. There are more amazing business leaders today than ever before, and I value traits from different leaders, and seek to cultivate those in myself. Elon Musk’s giant unstoppable vision is inspiring. So is Arianna Huffington’s willingness to evolve and Tony Robbins’ focus on service. Personally, Tesla and Linus Pauling are inspirational. The organic farm in my backyard on Vancouver Island with ocean views. I’m on the road for Bulletproof so much – I’ve had my fill of 4 star hotels around the planet. It’s a luxury to stay home. Helping more people. Opening the first Bulletproof Coffee Shop in Santa Monica this month, and many more in the months and years to come. Launching a series of groundbreaking new products so powerful you can feel them work.